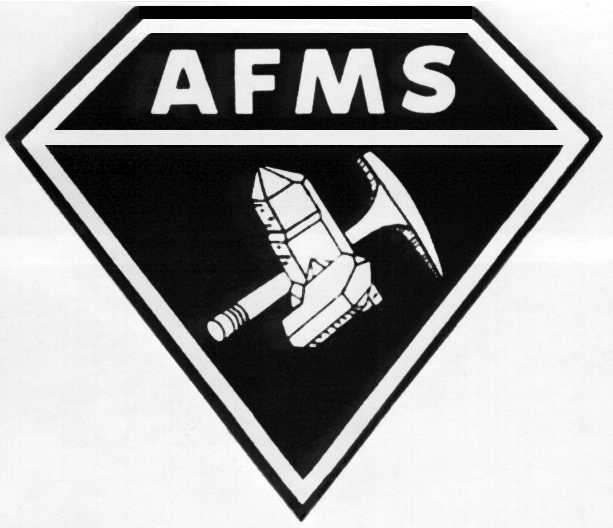 Below are some different size AFMS logos that can be downloaded. Even though these are not first generation logos, they may provide you with better detail than previously available. Click on the image below that you would like to download. This should take you to a new page with just the selected image. When the image is displayed. Use your browser to download the image. Internet Explorer: Click the right side button of the mouse on the image and select "Save Picture As"
Netscape Explorer: Click the right side button of the mouse on the image and select "Save Image As"